When Amazon set out to build a next generation version of its robot that’s used in its warehouses, or fulfillment centers, it literally started with a blank slate. 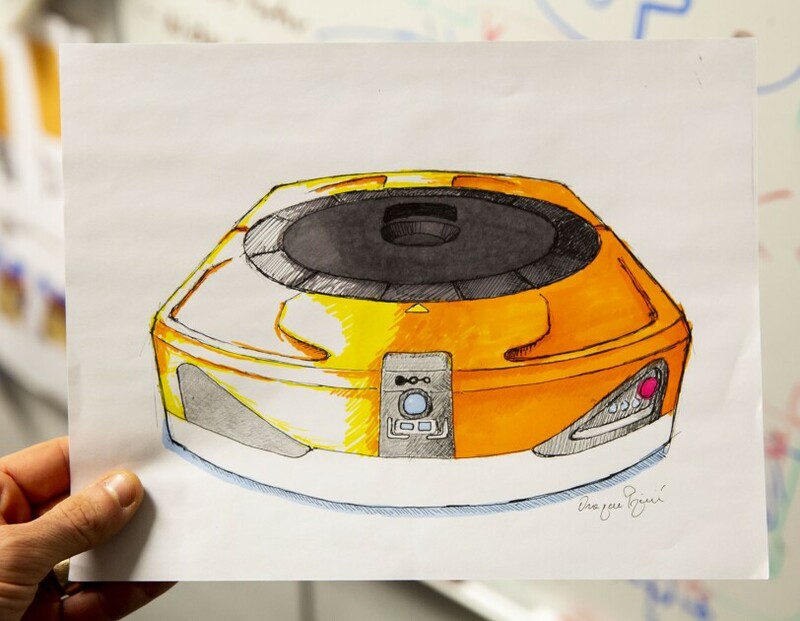 The robotics division held a contest among employees for the design, and the winner was a simple but elegant paper sketch by an engineer, Dragan Pajevic. 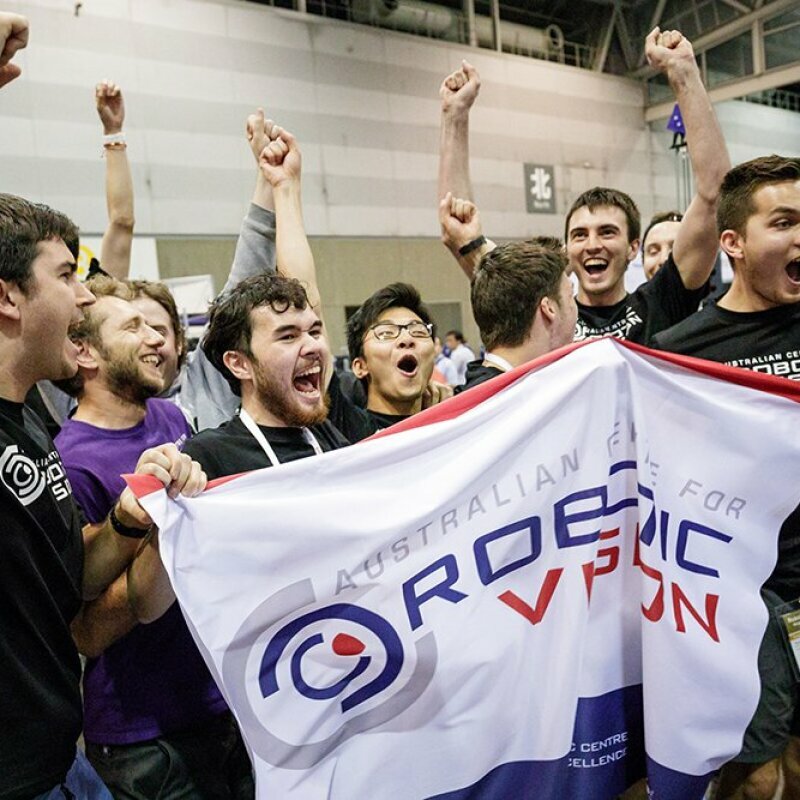 Pajevic also happened to be the lead engineer on the next generation robot, and he was faced with an exceptionally daunting task in 2015. He needed to figure out how to make these bots shorter, smarter, and stronger. And his team needed to do it fast, because the robots would be debuting at new fulfillment centers that were already underway in Europe. "I knew I had to deliver," he said. 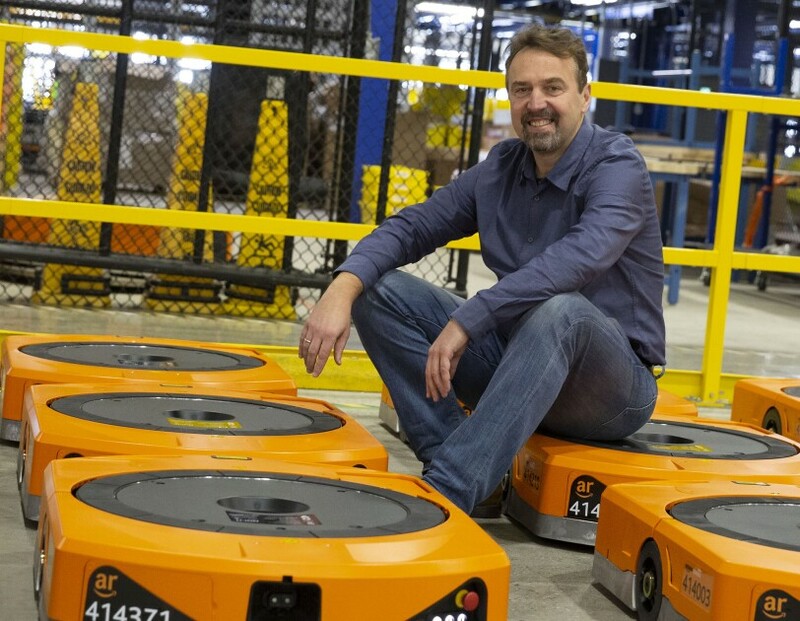 Since 2012, when the company acquired Kiva Technologies, robots have moved tall stacks of inventory around Amazon's fulfillment centers – having the robots wheel the inventory directly to fulfillment center associates for them to retrieve ordered products saves significant time in the fulfillment process. Working in a technology-rich environment alongside robots, also enables associates to be able to focus on more challenging tasks. Hercules' chassis, or frame, allows parts to sit closer together, taking up less space, while the simpler design makes it easier to build and maintain. Assembled in North Reading, Massachusetts, where Amazon Robotics is based, the smaller unit also has improved functionality, making it more efficient at navigating a fulfillment center. The reductions in size will help Amazon open new fulfillment centers closer to urban centers in Europe, resulting in faster delivery to more customers. That idea dovetails with Amazon's Leadership Principles, one of which is "Invent and Simplify." 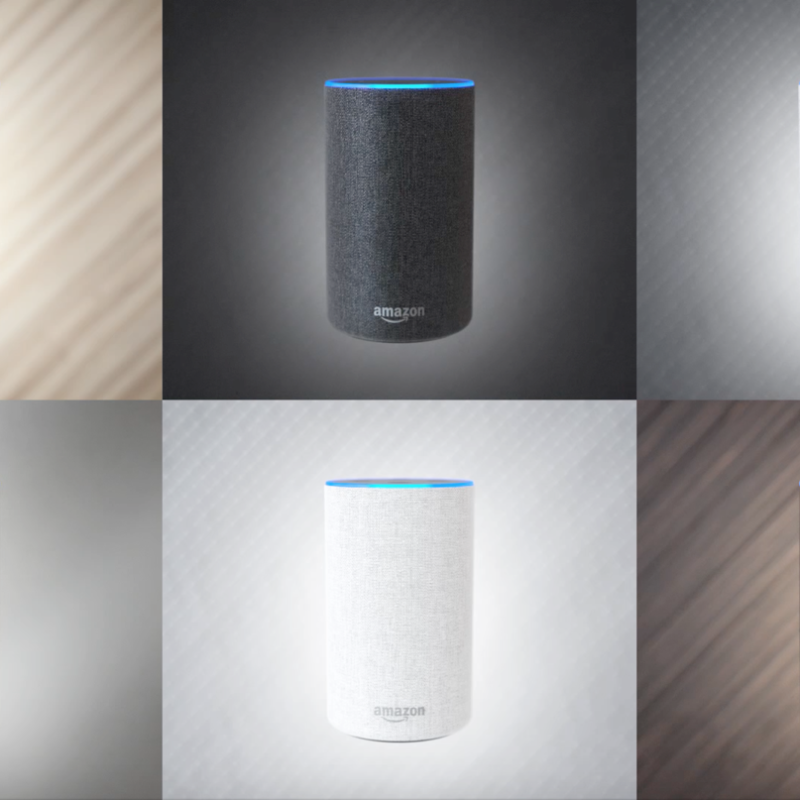 The H Drive is just one example of how Amazon is investing in the process-improving inventions that iterate on existing technology, just as much as its big ideas for new inventions. Amazon values innovation for the long-term, and developing patents to continuously improve its own systems. But how do you keep driving innovation at a company that's as diversified as Amazon? It's a challenge that remains as stubborn as it is pervasive, and it's one Tye Brady thinks about often in his role as a chief technologist at Amazon Robotics. According to Brady, anyone at Amazon can contribute an idea that ends up having an impact, even if it's for a different division. The company is known for its regular internal contests and hackathons that recognize people for creative thinking. "If you have interesting ideas that have value, they will go to scale at Amazon if we're in any of those businesses," Brady said. "You don't have to restrict yourself to one sector." But it's one thing to spitball a bunch of new ideas; it's another to make them stick, which is why you can't have a robotics division made up solely of blue-sky visionaries. “Diversity of thought on my team is something I value,” said Brady. As a senior principal technologist, Beth Marcus finds the same to be true on her team of engineers that’s dedicated to envisioning the future of Amazon Robotics. Making sure those robots continue to operate at their peak potential often requires a different skill set than coming up with the next big idea, she finds. That's why Amazon needs lots of different types of thinkers – both can have a positive impact on the customer. Knowing that patents are a significant part of the innovation process, Marcus helped create an internal class for engineers to encourage more patent filings. Engineers often shy away from patenting, she noted, either because they think their idea isn't patentable or they hate the process. Yet Amazon's employees are constantly creating both large and small inventions in their mission to satisfy customers. Amazon has thousands of granted patents. Marcus finds that Amazon’s internal patent office is better than she’s seen in any other company. The streamlined submission process makes it so simple and accessible for any employee with an invention or idea – even if they don't have experience submitting a patent. Amazon engineers regularly get named on filings and receive recognition in a variety of forms. 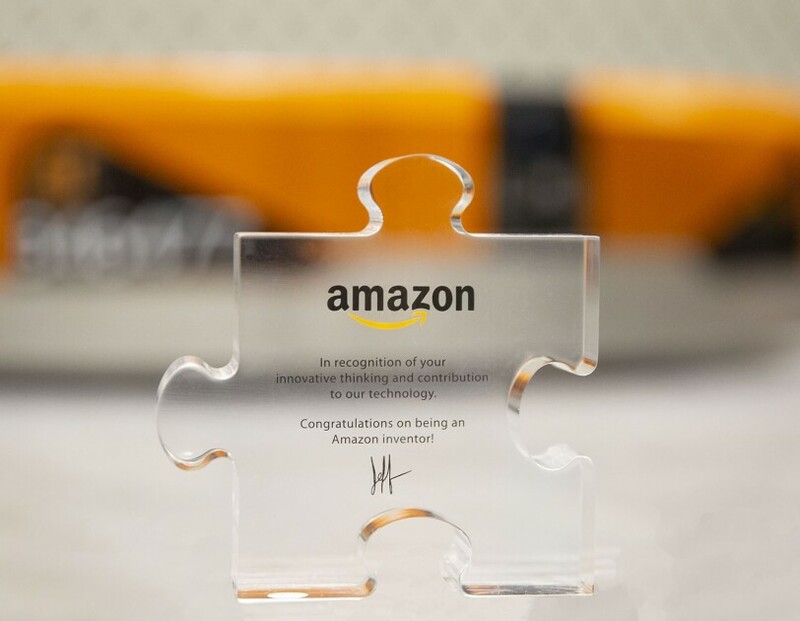 For filing a patent, Amazonians receive an award shaped like a puzzle piece for each filing, and when a pending patent is approved—a process that can take about two years—the puzzle piece goes from clear to blue. These awards are also displayed virtually on the Amazon company-wide directory – a badge only to be worn by inventors. 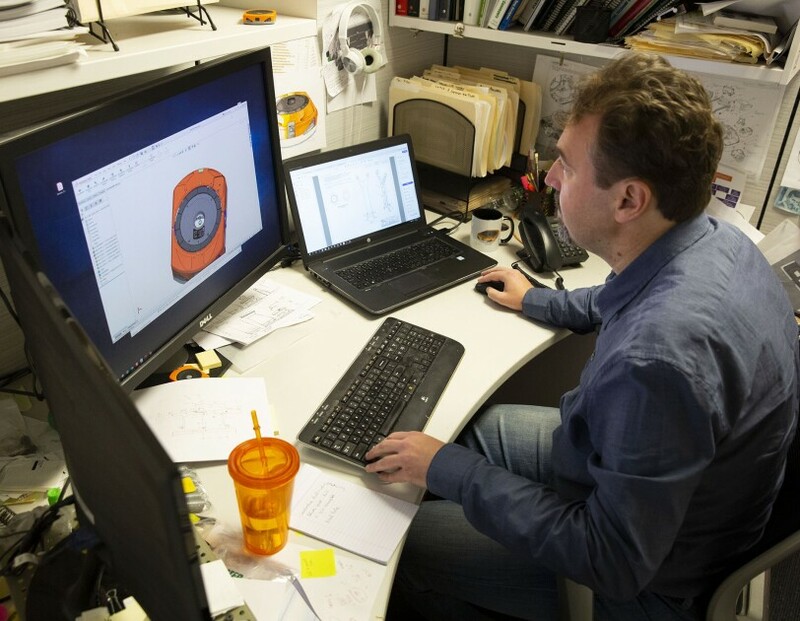 The Hercules project generated seven patents pending with Dragan Pajevic's name on them, his first-ever patents. It's great to have the recognition, Pajevic said, but "a bigger driving force for me is creating something new that affects people's lives." Meeting the aggressive targets for Hercules, he noted, didn't happen because of one magic-bullet idea. Instead, the robot emerged from a series of small but important ideas and a culture that encourages people to ask, "Why stop there?" 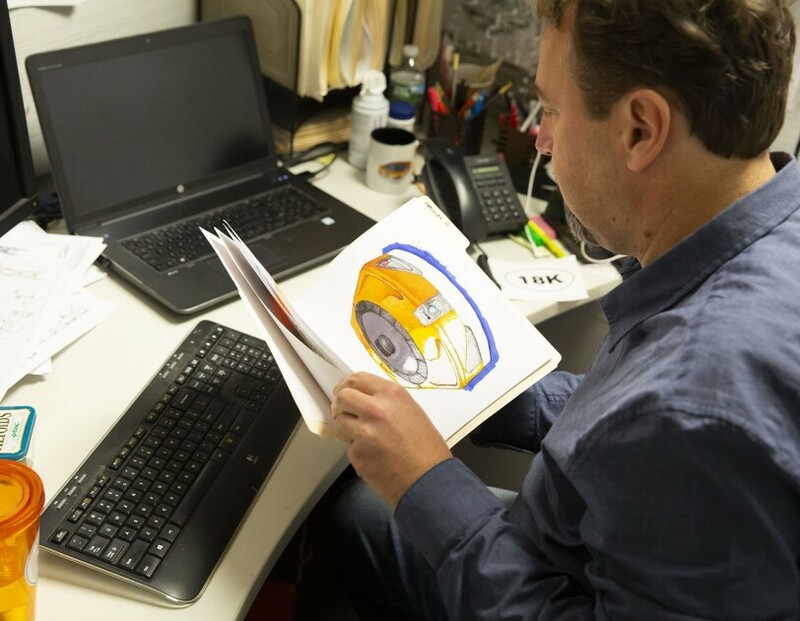 After many such questions and long days of engineering and technology work, Pajevic watched his winning design for Hercules go from paper to reality in 2017, when the bot was rolled out across six different sites in Europe within three months. 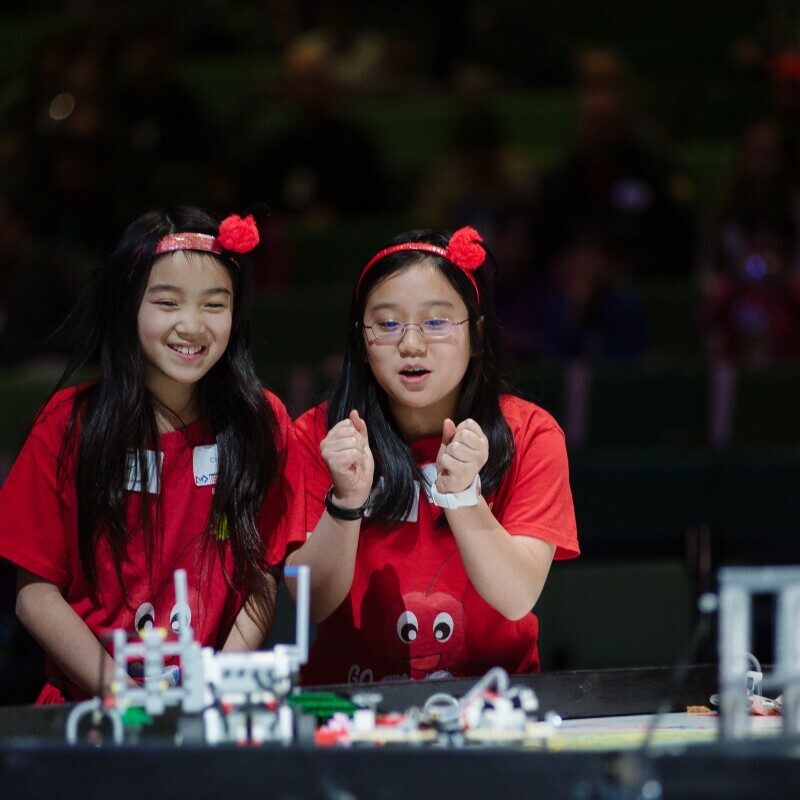 Tens of thousands of H Drives are now moving inventory to associates, and some of the bot's features are already making their way into other robotics for additional tasks. For Pajevic, the satisfaction comes from seeing the visible impact his team’s technology is having on the customer experience – more efficiency means faster delivery and greater customer satisfaction. "It was extremely gratifying to be able to deliver what at first looked almost impossible," said Pajevic.